Lamb Henry uses economical cuts such as shanks and shoulder cuts. It is simple to prepare and involves slow cooking a small joint with herbs, usually mint or rosemary, and honey or sugar. 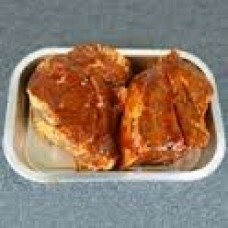 It makes a delicious meal with the meat falling off the bone and the concentrated juices make the sauce. 1. Coat the lamb joint with the honey. 2. Sprinkle all over with the herbs. 4. Wrap loosely in foil. 5. Place in a roasting tin and add 250ml water and the vinegar. 6. Cook until the meat is very tender, removing the foil for the last 20 minutes. Add a little more water if needed to avoid drying out. Remove the meat and keep warm and, if necessary, reduce the liquid to make the sauce.